A BPT graduate is eligible to do independent clinical practice. Graduates could continue their post graduate education in various specializations and could take up research. Physiotherapists are recruited in hospitals for patient care in government and private sectors. Graduates and post graduates are in demand overseas and are highly paid. 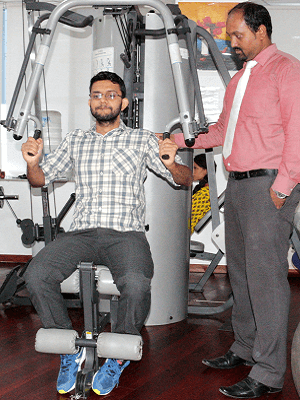 Physiotherapists can opt for a career as fitness trainers and consultants. Physiotherapists are important members of NGOs and Rehabilitation centers. Physiotherapists may work as ergonomic advisors in soft ware industry. Graduates and post graduates have a potential career as sports physiotherapists. Physiotherapists could be important members of health related research programs.